Bluetooth headsets are very popular, especially since it has become illegal to use a hand held cell phone while driving. Being able to make and answer phone calls without being stuck in one place was a great start but being able to do so without having the distraction of using your hands has made it easier by far to conduct business and keep up with friends and family, no matter what else is going on. 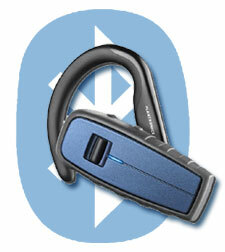 Plantronics Bluetooth has been extensively tested by no less than the United States Army Development Test Command! Their testing was rigorous and specific, resulting in a product that is the best that it can be. The Bluetooth Plantronics Explorer 370 has been tested and proven effective even under the most adverse conditions. It is water resistant, shock resistant and dust resistant. So if you drop your Bluetooth on a dusty street or in a puddle of water, it won’t quit working!! This Bluetooth is certified to MIL STD 810 standards, so you know there isn’t a better one anywhere around. The convenience of being able to use both hands while typing, driving, or working on the job is a wonderful thing. You can even use it outside and not have interference from the traffic or equipment noises that can be distracting with a regular phone or even most earpieces. Bluetooth technology is advancing all the time and state of the art equipment is available through many outlets. Bluetooth is a big help for truck drivers who need to be able to call for directions or repairs as they travel around the country. There is no danger of dropping the phone and causing an accident while searching for it. Emergency medical technicians, using a Bluetooth, can contact their dispatcher for directions to the scene of an accident or injury without having to stop. They can use their Bluetooth to communicate directly with an emergency room doctor to insure the best quality of treatment for their patients without ever having to stop what they’re doing. For those who need the use of both hands for their job, such as secretaries or computer technicians, the Bluetooth is invaluable. They are able to make and answer calls without having to put their work on hold while they talk. As a safety measure, the Bluetooth is unbeatable! Cab drivers can use their Bluetooth to keep in touch with their dispatchers. This can prevent them from getting lost as well as enabling them to call for help very quickly when necessary. An afternoon at the park is the perfect time to use a Bluetooth. While the kids are playing, you can visit with friends on the phone without having to be distracted. Should an emergency arise, 911 is as near as you need it to be. Bluetooth is the innovation of the decade in technology and communications. No matter what your needs are, the Bluetooth can be the best purchase you ever made! Check them out and you’ll see!